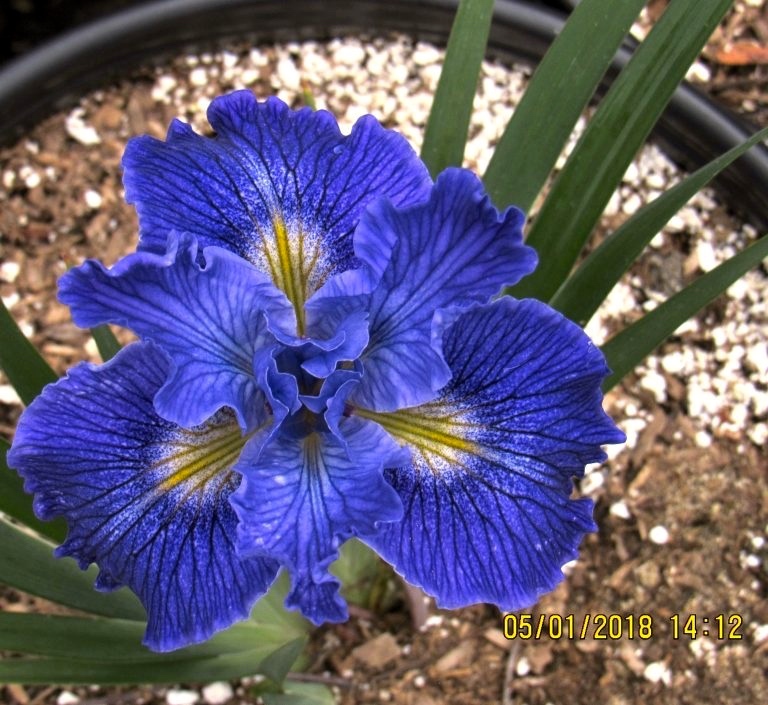 Iris douglasiana (Douglas iris [also mountain iris, western iris, Pacific coast iris]) is a common wildflower of the coastal regions of Northern and Central California and southern Oregon in the United States. 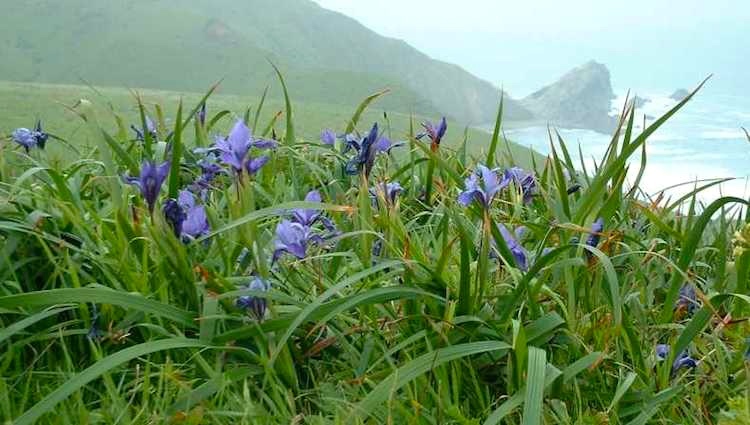 The Douglas Iris was first described by 19th century botanist David Douglas in Monterey, California. It grows mainly at lower elevations, below 100 meters (330 ft) … It is most common in grasslands near the coast; it is regarded as a noxious weed in pastures, because it forms clumps that inhibit other vegetation, and its leaves are bitter and unpalatable to cattle. 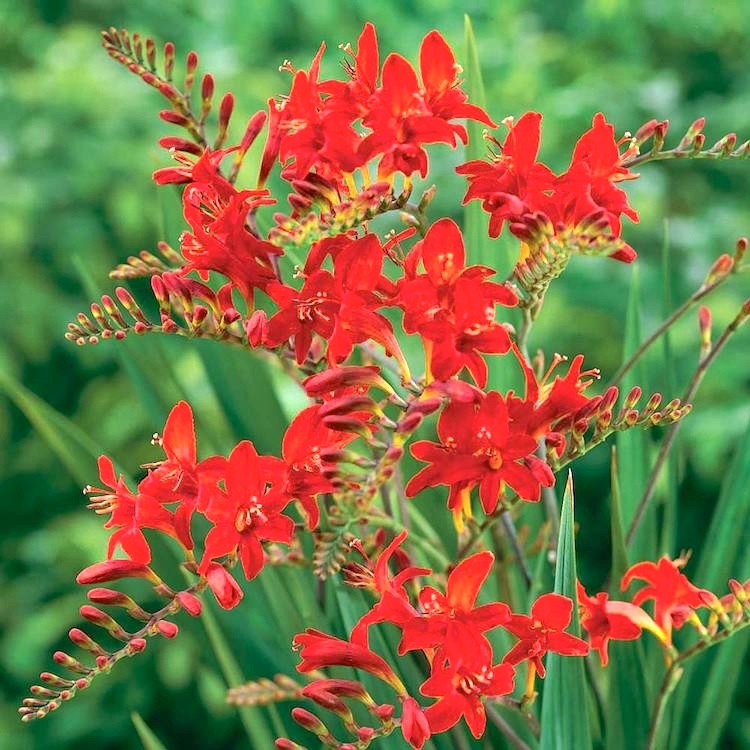 Crocosmia… is a small genus of flowering plants in the iris family, Iridaceae. It is native to the grasslands of southern and eastern Africa, ranging from South Africa to Sudan. One species is endemic to Madagascar. They can be evergreen or deciduous perennials that grow from basal underground corms. … The alternative name montbretia is still widely used. 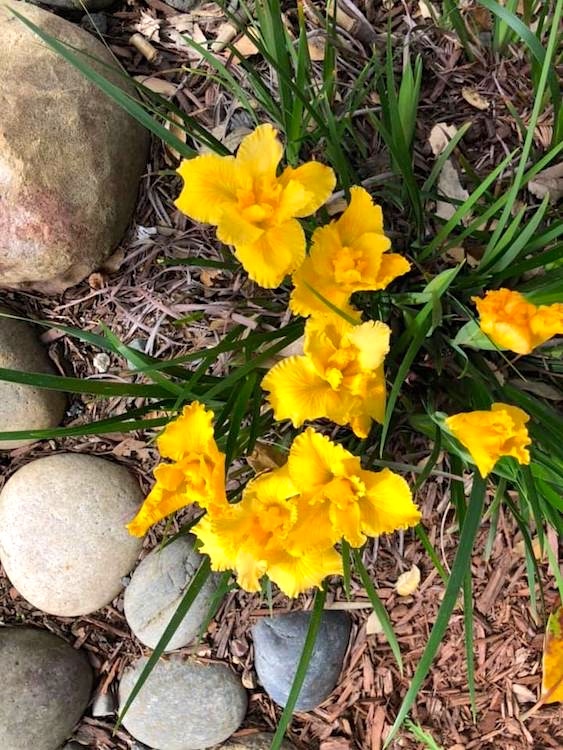 The genus name is derived from the Greek words krokos, meaning “saffron”, and osme, meaning “odor” – from the dried leaves emitting a strong smell like that of saffron (a spice derived from Crocus – another genus belonging to the Iridaceae) – when immersed in hot water. Iridaceae is a family of plants in order Asparagales, taking its name from the irises, meaning rainbow, referring to its many colours. 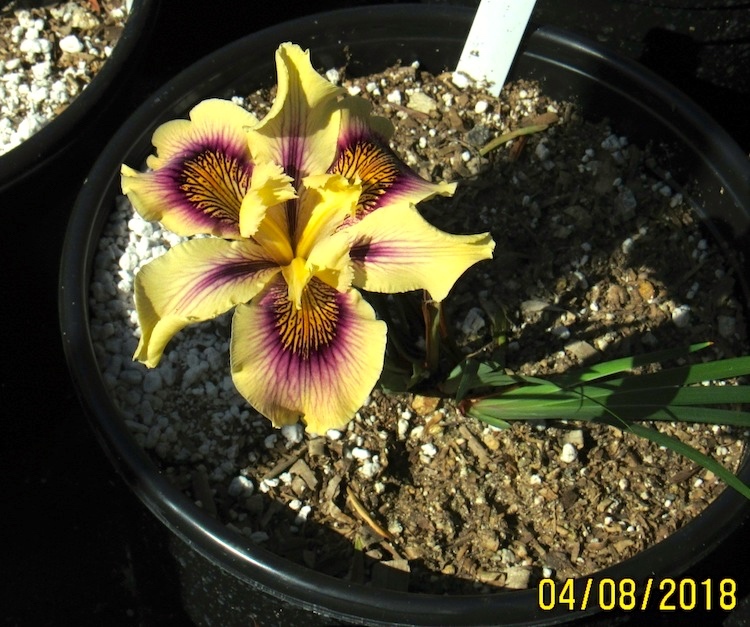 … It includes a number of other well known cultivated plants, such as freesias, gladioli and crocuses. Members of this family are perennial plants, with a bulb, corm or rhizome. The plants grow erect, and have leaves that are generally grass-like, with a sharp central fold. 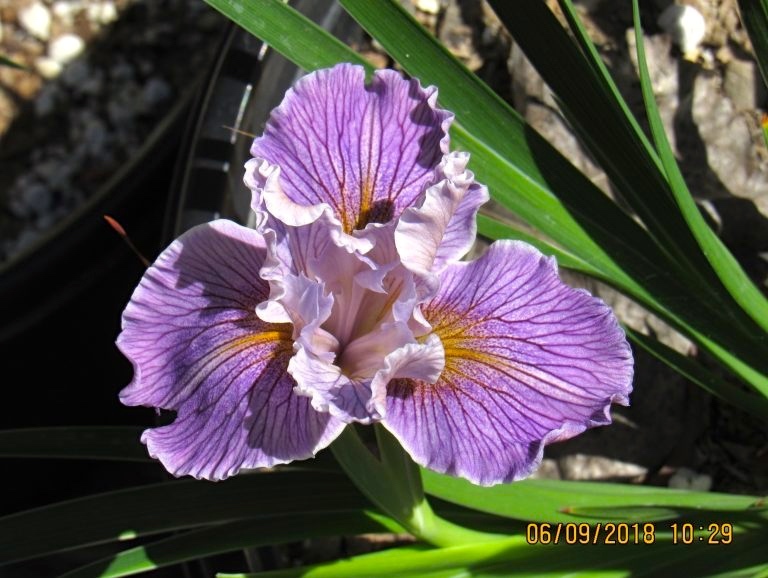 … Subfamily Crocoideae is one of the major subfamilies in the Iridaceae family, it contains many genera, including Afrocrocus, Babiana, Chasmanthe, Crocosmia, Crocus, Cyanixia, Devia, Dierama, Duthieastrum, Freesia, Geissorhiza, Gladiolus, Hesperantha, [Hesperoxiphon], Ixia, Lapeirousia, Melasphaerula, Micranthus, Pillansia, Romulea, Sparaxis, Savannosiphon, Syringodea, Thereianthus, Tritonia, Tritoniopsis, Xenoscapa and Watsonia. It started a while back with a pair of morning names: Ixia and Sparaxis. Two showy bulbs, united by the letter X. They led to (in alphabetical order) Chionodoxa, Cyanixia, Hesperoxiphon, Ixiolirion, Oxalis, Xenoscapa. And from Hesperoxiphon, through its sword-bearing component (Gk. 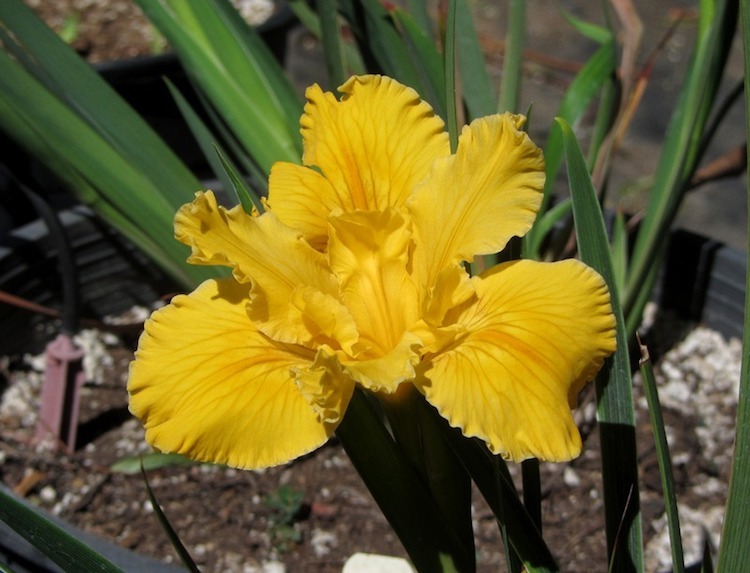 xiphos ‘sword’), to Xiphion, which we know now in its Latin version Gladiolus. Freesia is a genus of herbaceous perennial flowering plants in the family Iridaceae, first described as a genus in 1866 by Chr. Fr. Ekhlon (1886) and named after German botanist and doctor Friedrich Freese (1795-1876). It is native to the eastern side of southern Africa, from Kenya south to South Africa, most species being found in Cape Provinces. 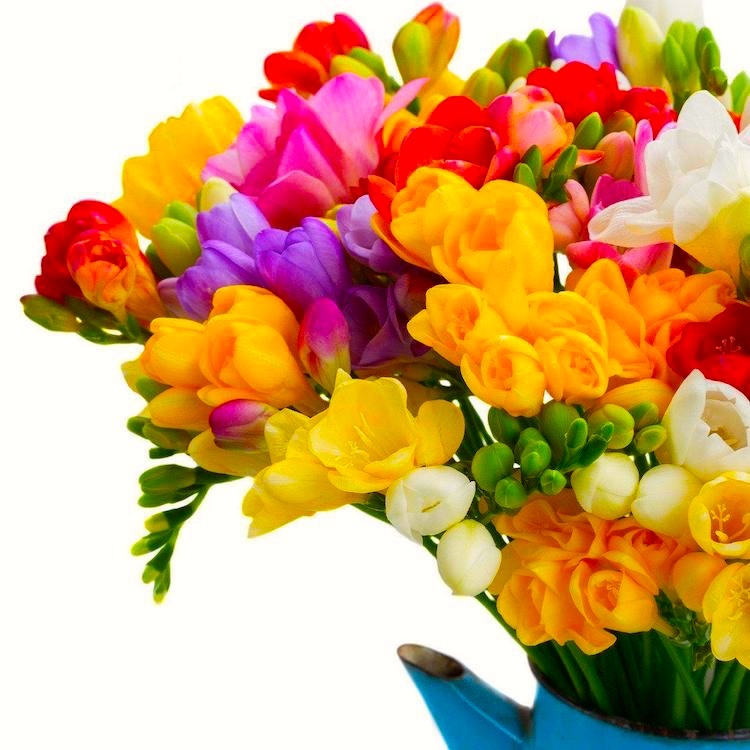 Freesias are one of the world’s most popular cut flowers. They are loved for their pure colors, long vase life and sweet perfume. Freesias may be grown at home in containers or in a garden for spring or summer blooms. Each of the graceful 12”-15” stems bears six to twelve trumpet-shaped blossoms. 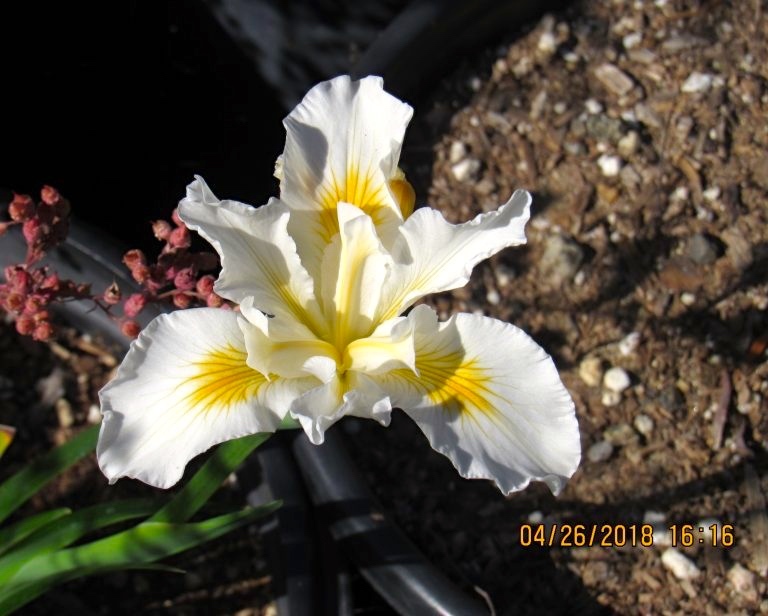 The flowers may be single or double and are available in many beautiful colors including white, cream, yellow, orange, red, pink, mauve, lavender and purple. Freesias will fill a room with their fresh, baby powder fragrance. Also on the list of crocoids above:Tritonia or flame freesia, very similar to Freesia and closely related to Ixia; and Tritoniopsis, similar to Tritonia (hence the name ‘Tritonia-looking’). This entry was posted on April 7, 2019 at 7:46 am and is filed under Language and plants, Morning names, Names, Taxonomic vs. common. You can follow any responses to this entry through the RSS 2.0 feed. You can leave a response, or trackback from your own site.